Right next to the Bridge of Lions on Anastasia Island. Check in 3 p.m. Check out 11 a.m. 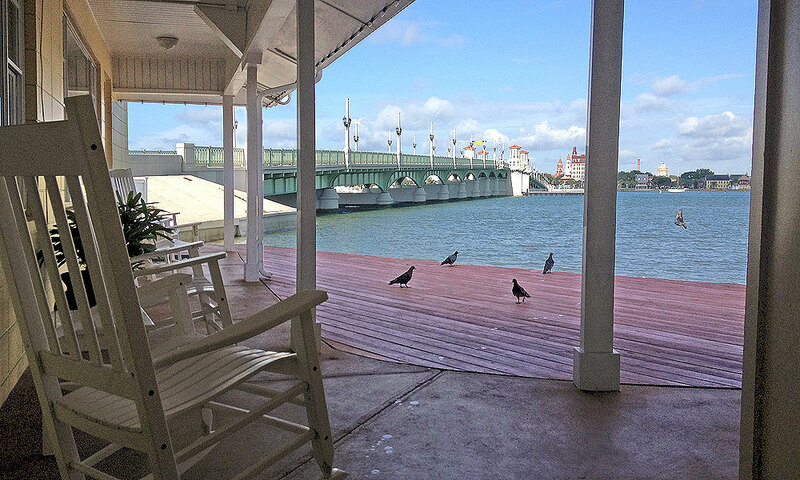 The Edgewater Inn offers a waterfront oasis just steps away from the downtown historic district of St. Augustine, Florida. Located at the foot of the Bridge of Lions, visitors will find this an amazing place for a vacation getaway. 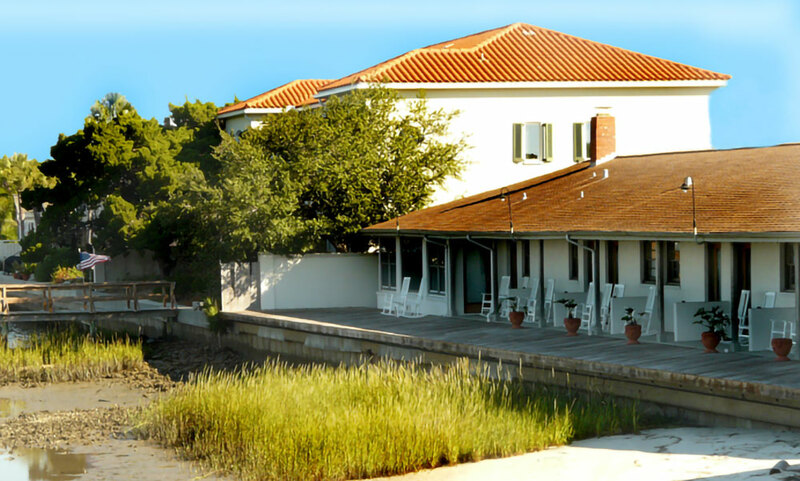 From the hotel's 19 spacious rooms to its sleek contemporary style, the Edgewater Inn offers a wide range of conveniences and amenities, we well as outstanding hospitality and service. 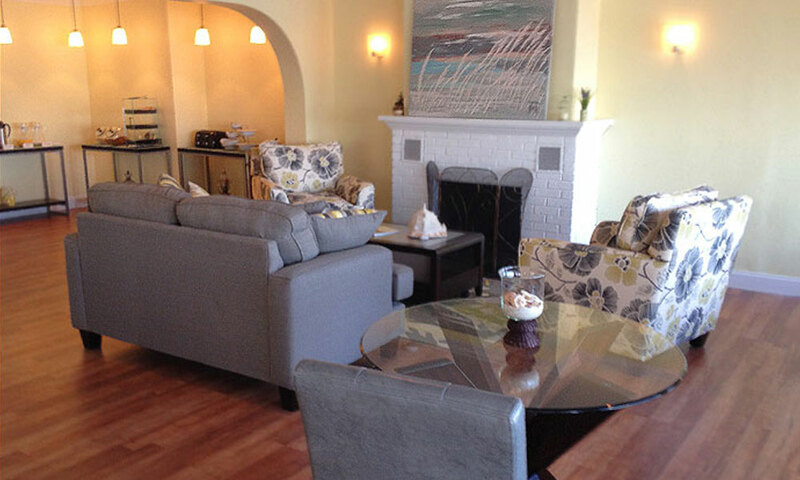 Recently renovated, the Edgewater Inn offers stylish rooms, a waterfront guest lounge area, a homemade breakfast, afternoon refreshments, and an evening social hour with complimentary hors-d’oeuvres and wine. Visitors can rise from a restful sleep and gaze out the window of waterfront rooms, catching a first glimpse of the nation’s oldest city. Sailboats are anchored in the Bay, while others make their way to the Atlantic Ocean, offering scenic entertainment and atmosphere. 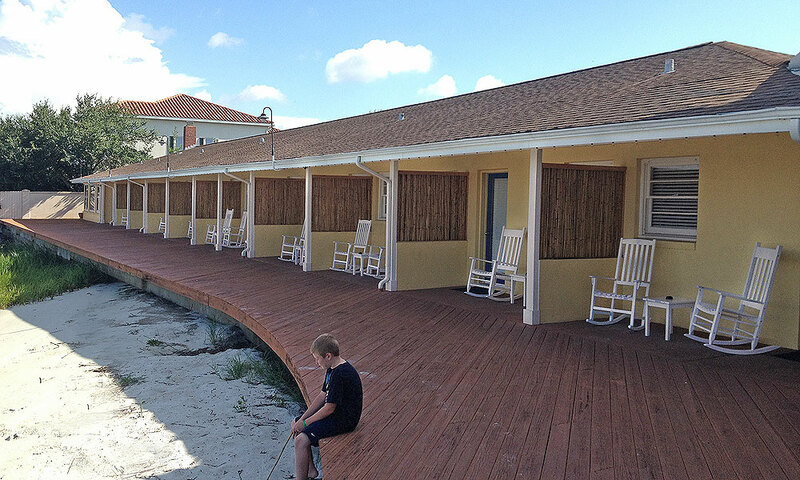 Rocking chairs are available with each room, offering a comfortable seating area for vacationers to enjoy the view. Guests can enjoy a cup of coffee while seagulls fly above and dolphins are spotted in the waves. The Edgewater Inn’s ideal proximity to local tourist attractions, dining, shopping, and nightlife make it an ideal spot for the leisure and romantic traveler. 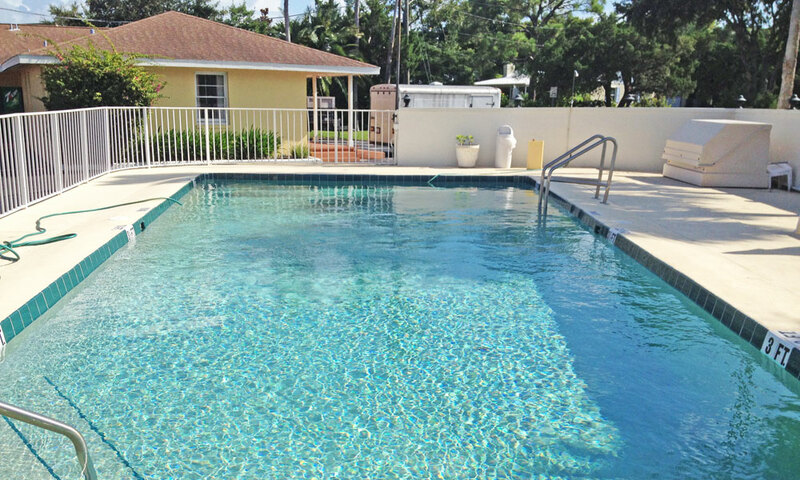 Outdoor pool, free wireless internet access, all rooms 100% smoking free, free newspaper, coffee maker, iron and ironing board, voice mail, clock radio, hairdryer, cable TV with remote, triple-sheeted beds, electronic security locks on doors, free homemade breakfast and evening social hour. 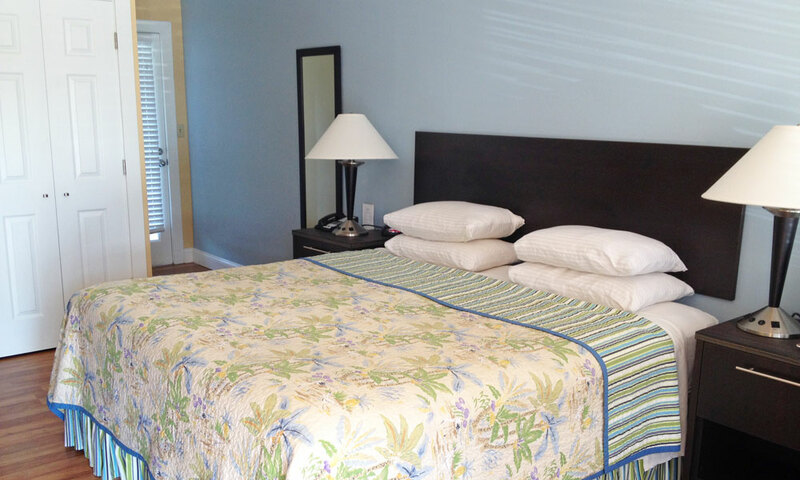 Be the first to Review Edgewater Inn!